Why it is carried out, is it necessary? Who can be an Internal Auditor? I hope, most of you were spoon fed at some time if you were or are a CA student with the definition of Audit i.e. “Audit is an Independent examination of an entity or an organization whether profit making or not, in order express an opinion that whether financial statements reflect true and fair view for position of the entity. 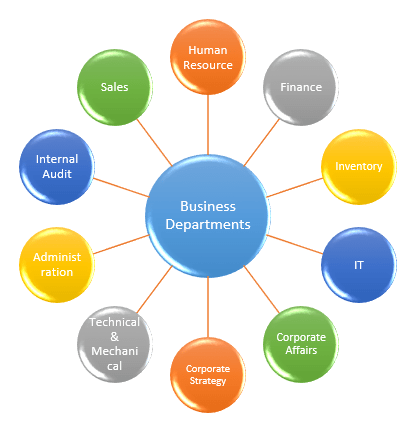 In the above departments, various process are to be followed for performing their activities. For e.g. Human Resource departments perform the activities like recruitment, termination, appraisal, Salary Disbursement, Appraisal, Management of EPF, ESI, and Bonus etc. For each of these activities certain process is to be followed, like for recruiting a personnel, first of all invitation for application through newspaper and various job-portal is made, afterwards applications are analyzed and candidates are shortlisted, negotiation is made and afterwards appointment and so on. These activities are audited and observations are noted with regard to discrepancies in carrying out these activities. We will discuss this all in detail in “How Internal Audit is Carried Out”? (ii) outstanding loans or borrowings from banks or public financial institutions exceeding one hundred crore rupees or more at any point of time during the preceding financial year. Note: Difference between Loan and Deposit in above case is Loan can only be from banks or public financial Institution but Deposits can be from anyone e.g. friends of directors, subsidiary companies, associates, etc. Since Companies Act, 2013 and Companies (Accounts) Rules, 2014 does not specify any qualification of Internal Auditor. So, Internal Auditor can be any person except statutory auditor (as per section 144), he is not necessary to be a CA/CWA/MBA, etc., he can be an employee of the company or a firm of Internal Auditors. It is on Board of the Company, to whom they appoint as Internal Auditor. Difference between Internal Audit & Statutory Audit? 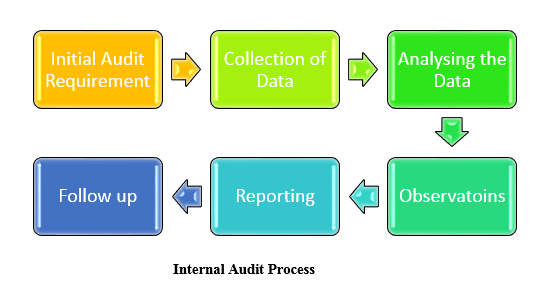 Internal Audit is carried out monthly, quarterly, half yearly or yearly depending upon the size or nature of the company, Since there are enormous activities or transactions carried out in business, so it is very difficult to audit each and every event and transaction, so in this function also audit Sample is taken and reasonable assurance is obtained on that basis, in this also management is responsible for performing activities, functions and processes. 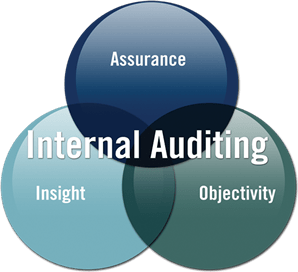 In Internal Audit System, An Annual Scope is fixed generally in the start of year which states the departments which are to be audited, period and frequency of audit, branches or plants to be audited. On the basis of annual scope, internal audit function is performed. Employee Master having complete details regarding Name, Address, Contract No., Date of Joining, Date of Reliving, Date of Birth, Qualification, Department Name and Qualification etc. Attendance register or Bio-metric machine report of attendance having details with time entered and time left, overtime details, etc. Salary Disbursement Report, Appraisal Report, etc. Above is the Illustrative list, there can be more requirements on the basis of nature of the company and job of employees. Out of above Audit requirement, some data is system based and some would be available in hard copies, both are analyzed and any deviation from the decided policy or process decided by the company for performing the activities of Human resource Department is noted in Internal Audit Report, discussed, timeline for resolving that observation is taken and follow up is made. As shown in the process above, there are so many events which are to be verified by auditor, like Whenever any raw material requirement is raised, auditor has to verify the event that whether the requirement was valid, if it was valid then if the material was in stock then reservation for that material to department will be made and if not then the user has to make a purchase requisition of material. Here auditor will verify that whether the purchase requisition is made even though the material was available in stock. It usually happens in business if the Inventory & Stores department is not taking care of the stock and is unaware about the location of stock. If auditor is satisfy with the validity of PR (Purchase Requisition) then he need to verify that whether Request for Quotation is sent to vendors of that raw material, whether it is for same quantity, as rate may vary depending upon the order of quantity, date of RFQ should be same, After RFQ is sent whether adequate quotations (generally 3 to 4) are received for that material and whether the received quotations are through e-mail or through paper, if through paper then they need to be signed, on the letterhead of supplier with date on it and on the basis of comparative statement of prices and terms of quotations received, the vendor with best terms is selected and Note for approval is made stating that out of quotations received, the X vendor has been selected. Here auditor should verify that whether it is approved by the heads of various department through the signature on note for approvals. Sometimes, Commercial department while dealing vendors for negotiating prices, fixes its commission in cash and sometimes vendor with higher quote is selected on the basis of urgent requirement, Auditor need to verify the above events very carefully, as higher quote will lead to excess outflow and cost to the company and undue benefit to the Negotiator in Commercial department. After the selection of vendor, purchase order is created and order is placed to vendor. Here auditor needs to verify the whether the purchase order is made with same terms as agreed with vendor selected. Whether it contains details like delivery terms, payment terms, quality terms, tax implications of material, etc., after Placing Order to vendor, whether payment is made within the days agreed is to be verified as it impacts creditworthiness of the company with suppliers and in market. 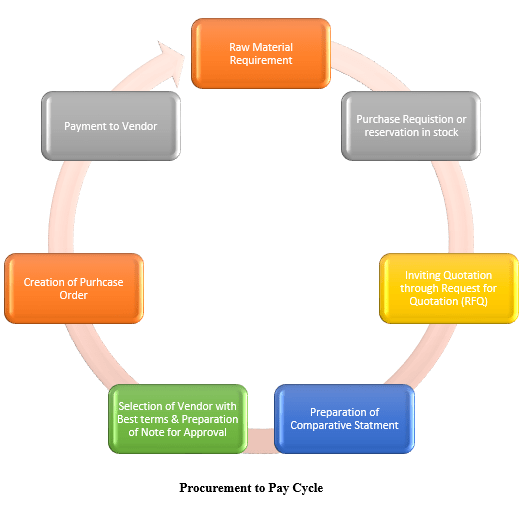 The above events in procurement to pay cycle are illustrative, there can be more events which depends on the policy of the company. So, as we discussed about the audit of HR department and Procurement to Pay process, auditor would analyze the activities and process of others department and would audit them accordingly. Timeline by which such observation will get closed. As discussed above, it can be said that Internal audit department in an organization is a profit center as it save cost of many departments and improve many functions of conducting business. That is why Companies Act, 2013 has made mandatory for certain class of companies to have an Internal Audit System in order to save the interest of various stakeholders of the business unit. Above was my personal experience in Internal Audit function, I hope you enjoyed the reading. Comments and suggestions are always welcomed, Please feel free to write. Mr. Rajat, Your post is really impressive and helpful. But what i do want to ask or comment is that, rather than the companies act, 2013 rules, it is also important from CARO, 2015 point of view, as an statutory Auditor needs to comment on this. And moreover, to report CARO, is a duty of a auditor.